Directions: Kensington to Suffolk turn onto Fennimore. Great Opportunity for Investor or owner occupant. Presently, tenant is paying $600/month rent. Large front porch leads inside to foyer, open living and dining rooms. There is an eat-in kitchen full bath and 2 bedrooms completing the first floor. Upstairs there is another (or third bedroom) plus large loft area. The full basement has solid mechanics and loads of space for storage. It has it's own driveway, single car garage and yard. Get ready to roll up your sleeves, your tender loving care will make all the difference! 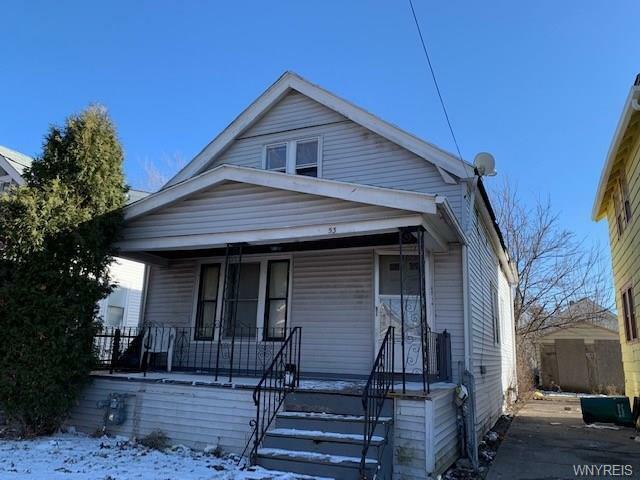 Please contact me with more information about the property located at 53 Fennimore Avenue, Buffalo. The MLS number is B1173423.